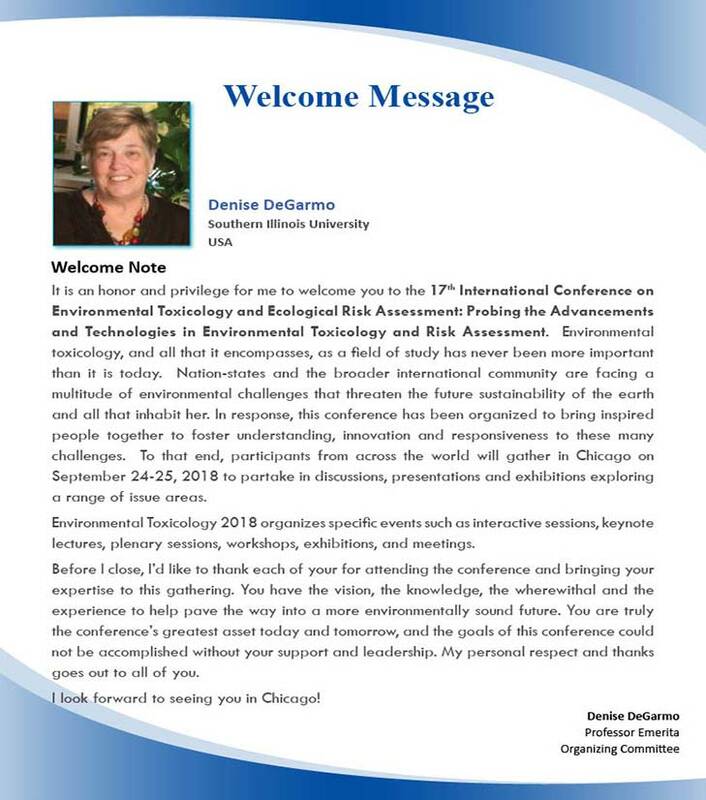 Conference Series LLC LTD Conferences invites all the participants from all over the world to attend ‘17th International Conference on Environmental Toxicology and Ecological Risk Assessment’ during September 24-25, 2018 Chicago, USA which includes prompt keynote presentations, Oral talks, Video presentation, Poster presentations and Exhibitions. Environmental Toxicology is highly interdisciplinary fields encompassing several fields like Environmental Biochemistry, physiology, ecology, microbiology, molecular genetics, genomics etc., Main analyses are made by conducting several lab works and field environment i.e., exposure and risk assessment. The Conference embraces several parameters of Environmental Toxicology Conference and Ecological Risk Assessment works. It depends upon factors such as modelling of fate and transport of toxicants. ConferenceSeries Ltd organizes a conference series of 1000+ Global Events inclusive of 300+ Conferences, 500+ Upcoming and Previous Symposiums and Workshops in USA, Europe & Asia with support from 1000 more scientific societies and publishes 700+ Open access journals which contains over 30000 eminent personalities, reputed scientists as editorial board members. Conference Series LLC Ltd is organizing Environmental Toxicology Conferences in 2018 at Chicago, USA. We organize Environmental Toxicology Meetings in the fields related to Toxicology, Global Warming, Environmental Science, Pollution, Occupational Toxicology and Aquatic Toxicology and in Ecology like Ecotoxicology, Environmental Monitoring, Sustainability, Risk Assessment and Waste Management. Conference Series LLC LTD is glad to invite you to attend 17th International Conference on Environmental Toxicology and Ecological Risk Assessment, during September 24-25, 2018 Chicago, USA. Environmental Toxicology 2018 includes Keynote presentations, Oral talks and Poster presentation. Conference is organised with the theme ‘Probing the Advancements and Technologies in Environmental Toxicology and Risk Assessment’’ which contains 19 Tracks to shape the theme of the conference. Environmental toxicology deals with the study of the hazardous effects of various physical, biological and chemical agents on living organisms. Harmful effects of such chemical and biological agents as toxicants from pollutants, insecticides, pesticides and fertilizers can influence an organism and its community by dropping its species diversity and abundance. Such changes in population dynamics affect the ecosystem by diminishing its productivity and stability. 14th World Congress on Toxicology and Pharmacology March 12-14, 2018 Singapore; 15th Euro-Global Meeting on Toxicology and Applied Pharmacology July 02-04, 2018 Berlin, Germany; 16th Annual Meeting on Environmental Toxicology August 13-14, 2018 London, UK; 17th Conference on Global Toxicology and Risk Assessment Conference October 22-24, 2018 Athens, Greece; 16th Global Summit on Toxicology and Applied Pharmacology October 15-16, 2018 Las Vegas, USA; 20th International Conference on Environmental Toxicology and Pharmacology, May 14-15, 2018, London, United Kingdom; 20th International Congress on In Vitro Toxicology, October 15-18, 2018, Berlin, Germany; 2nd World Congress on Pharmacology & Toxicology, Aug 16-18, 2018, Rome, Italy; SETAC North America 39th Annual Meeting, 4–8 November 2018, Sacramento Convention Centre, Sacramento, CA, USA; SOT 57th Annual Meeting and ToxExpo, March 11–15, 2018, San Antonio, USA; Societies: Society of Environmental Toxicology and Chemistry; Society of Toxicology; Society for Risk Analysis; Society of Toxicologic Pathology; Air and Waste Management Association. 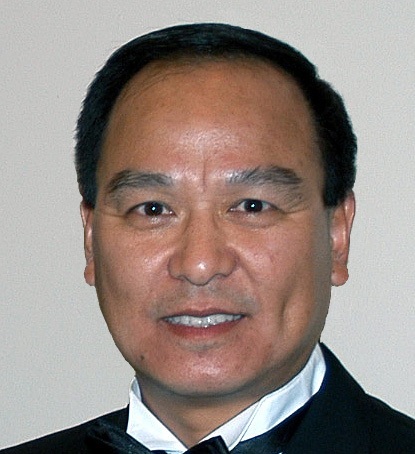 Ecotoxicology focuses on effect of toxic substances on ecosystem and their components. It deals with research on the effects of deadly chemicals on communities and terrestrial, marine and freshwater ecosystems. 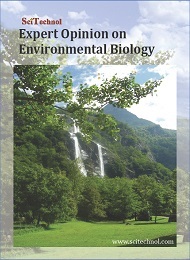 It reveals mechanisms and processes whereby chemicals employ their effects on ecosystems and examines the impact affected at the population or community level. Ecotoxicology shows a significant role in instruct ecological risk assessment and in regulating the use and discarding of industrial and agricultural chemicals. 15th Euro-Global Meeting on Toxicology and Applied Pharmacology July 02-04, 2018 Berlin, Germany; 14th World Congress on Toxicology and Pharmacology March 12-14, 2018 Singapore; 17th Conference on Global Toxicology and Risk Assessment Conference October 22-24, 2018 Athens, Greece; 16th Annual Meeting on Environmental Toxicology August 13-14, 2018 London, UK; 16th Global Summit on Toxicology and Applied Pharmacology October 15-16, 2018 Las Vegas, USA; 2018 Toxicology and Risk Assessment Conference, April 23-26, 2018, Ohio, USA; 20th International Congress on In Vitro Toxicology, October 15-18, 2018, Berlin, Germany; 2nd World Congress on Pharmacology & Toxicology, Aug 16-18, 2018, Rome, Italy; American College of Toxicology’s 39th Annual Meeting, November 4–7, 2018, West Palm Beach, Florida; SOT 57th Annual Meeting and ToxExpo, March 11–15, 2018, San Antonio, USA; Societies: Water Environment Federation; Society for Risk Analysis; Society of Toxicologic Pathology; Air and Waste Management Association; Alliance for Risk Assessment. Occupational Toxicology is the science of toxicology which underpins the application of toxicological information to the workplace environment. Hazardous agents are an on-going concern and there are now many examples of workers being severely affected by chemicals as a result of both acute and chronic exposure. The most important hazardous agents in the workplace are heavy metals, pesticides, solvents and inhaled materials. The major importance of occupational toxicology is to detect the agents of concern, detect the acute and chronic diseases that they cause, outline the conditions under which they may be used carefully, and prevent absorption of harmful amounts of these chemicals. 16th Global Summit on Toxicology and Applied Pharmacology October 15-16, 2018 Las Vegas, USA; 15th Euro-Global Meeting on Toxicology and Applied Pharmacology July 02-04, 2018 Berlin, Germany; 14th World Congress on Toxicology and Pharmacology March 12-14, 2018 Singapore; 17th Conference on Global Toxicology and Risk Assessment Conference October 22-24, 2018 Athens, Greece; 16th Annual Meeting on Environmental Toxicology August 13-14, 2018 London, UK; 2018 Toxicology and Risk Assessment Conference, April 23-26, 2018, Ohio, USA; 20th International Conference on Environmental Toxicology and Pharmacology, May 14-15, 2018, London, United Kingdom; 20th International Congress on In Vitro Toxicology, October 15-18, 2018, Berlin, Germany; 2nd World Congress on Pharmacology & Toxicology, Aug 16-18, 2018, Rome, Italy; SOT 57th Annual Meeting and ToxExpo, March 11–15, 2018, San Antonio, USA; Societies: Society of Toxicology; Society for Risk Analysis; Society of Toxicologic Pathology; Air and Waste Management Association; Alliance for Risk Assessment. Global warming is the current escalation in temperature of the Earth's surface as well as its atmosphere. In the past, when the Earth experienced rise in temperature it was the outcome of natural causes but today it is being triggered by the accumulation of greenhouse gases in the atmosphere produced by human activities. The natural greenhouse effect sustains the Earth's temperature at a safe level making it possible for humans and many other life forms to be existent. However, since the Industrial Revolution human activities have remarkably enhanced the greenhouse effect causing the Earth's average temperature to rise by almost 1°C. This is creating the global warming today. 16th Global Summit on Toxicology and Applied Pharmacology October 15-16, 2018 Las Vegas, USA; 15th Euro-Global Meeting on Toxicology and Applied Pharmacology July 02-04, 2018 Berlin, Germany; 14th World Congress on Toxicology and Pharmacology March 12-14, 2018 Singapore; 16th Annual Meeting on Environmental Toxicology August 13-14, 2018 London, UK; 17th Conference on Global Toxicology and Risk Assessment Conference October 22-24, 2018 Athens, Greece; 2018 Toxicology and Risk Assessment Conference, April 23-26, 2018, Ohio, USA; 20th International Conference on Environmental Toxicology and Pharmacology, May 14-15, 2018, London, United Kingdom; 20th International Congress on In Vitro Toxicology, October 15-18, 2018, Berlin, Germany; 2nd World Congress on Pharmacology & Toxicology, Aug 16-18, 2018, Rome, Italy; SOT 57th Annual Meeting and ToxExpo, March 11–15, 2018, San Antonio, USA; Societies: Society of Environmental Toxicology and Chemistry; Society of Toxicology; Society for Risk Analysis; Alliance for Risk Assessment; Water Environment Federation. Food contains a diversity of chemicals that may occur as either dietary oestrogens or antioestrogens. The study of occurrence of these chemicals in our diet and their potential beneficial and detrimental health effects is stated as Food toxicology. Analysis of food toxicants is unlike to a certain extent from that of straight chemistry. The chemicals of interest in food toxicology are the ones that give adverse effect toward humans and animals. 16th Annual Meeting on Environmental Toxicology August 13-14, 2018 London, UK; 17th Conference on Global Toxicology and Risk Assessment Conference October 22-24, 2018 Athens, Greece ; 15th Euro-Global Meeting on Toxicology and Applied Pharmacology July 02-04, 2018 Berlin, Germany; 16th Global Summit on Toxicology and Applied Pharmacology October 15-16, 2018 Las Vegas, USA; 14th World Congress on Toxicology and Pharmacology March 12-14, 2018 Singapore; 2018 Toxicology and Risk Assessment Conference, April 23-26, 2018, Ohio, USA; 20th International Congress on In Vitro Toxicology, October 15-18, 2018, Berlin, Germany; 2nd World Congress on Pharmacology & Toxicology, Aug 16-18, 2018, Rome, Italy; American College of Toxicology’s 39th Annual Meeting, November 4–7, 2018, West Palm Beach, Florida; SOT 57th Annual Meeting and ToxExpo, March 11–15, 2018, San Antonio, USA; Societies: Air and Waste Management Association; Alliance for Risk Assessment; Water Environment Federation; Society of Environmental Toxicology and Chemistry; Society of Toxicology. Environmental science is a multidisciplinary field that integrates the biological, physical, and earth sciences. Its objective is to understand earth workings and how it supports life. It also aims to detect, regulate and prevent interruption to its systems and species caused by human activity. Environmental scientists use their understanding of earth's systems to protect the environment and human health. They do this by cleaning up contaminated areas, making policy recommendations or working with industry to reduce pollution and waste. They may also examine the source of an environmental or health problem and devise approaches to combat it. 15th Euro-Global Meeting on Toxicology and Applied Pharmacology July 02-04, 2018 Berlin, Germany; 14th World Congress on Toxicology and Pharmacology March 12-14, 2018 Singapore; 16th Annual Meeting on Environmental Toxicology August 13-14, 2018 London, UK; 16th Global Summit on Toxicology and Applied Pharmacology October 15-16, 2018 Las Vegas, USA; 17th Conference on Global Toxicology and Risk Assessment Conference October 22-24, 2018 Athens, Greece; 20th International Conference on Environmental Toxicology and Pharmacology, May 14-15, 2018, London, United Kingdom; 20th International Congress on In Vitro Toxicology, October 15-18, 2018, Berlin, Germany; 2nd World Congress on Pharmacology & Toxicology, Aug 16-18, 2018, Rome, Italy; SETAC North America 39th Annual Meeting, 4–8 November 2018, Sacramento Convention Centre, Sacramento, CA, USA; SOT 57th Annual Meeting and ToxExpo, March 11–15, 2018, San Antonio, USA; Societies: Society for Risk Analysis; Society of Toxicologic Pathology; Air and Waste Management Association; Society of Environmental Toxicology and Chemistry; Water Environment Federation. Environmental pollution states the detoxification of ecological unit and the surrounding aerosphere by diverse forms of pollutants. The concern of environmental pollution has become a world-wide alarm due to their adverse effects to the physical and biological individuals of the environment. Pollutants can be synthetic substances or energy for example: noise, light or heat. Air pollution, Water pollution, Sound pollution, Light pollution, Thermal pollution, Radioactive pollution, Soil pollution, Visual pollution, Plastic pollution etc. 14th World Congress on Toxicology and Pharmacology March 12-14, 2018 Singapore; 16th Global Summit on Toxicology and Applied Pharmacology October 15-16, 2018 Las Vegas, USA; 15th Euro-Global Meeting on Toxicology and Applied Pharmacology July 02-04, 2018 Berlin, Germany; 16th Annual Meeting on Environmental Toxicology August 13-14, 2018 London, UK; 17th Conference on Global Toxicology and Risk Assessment Conference October 22-24, 2018 Athens, Greece; 2018 Toxicology and Risk Assessment Conference, April 23-26, 2018, Ohio, USA; 20th International Conference on Environmental Toxicology and Pharmacology, May 14-15, 2018, London, United Kingdom; 20th International Congress on In Vitro Toxicology, October 15-18, 2018, Berlin, Germany; 2nd World Congress on Pharmacology & Toxicology, Aug 16-18, 2018, Rome, Italy; SOT 57th Annual Meeting and ToxExpo, March 11–15, 2018, San Antonio, USA; Societies: Society of Toxicology; Society for Risk Analysis; Alliance for Risk Assessment; Society of Toxicologic Pathology; Air and Waste Management Association. The field of environmental chemistry is both very expansive and greatly interdisciplinary. Environmental chemistry is a very concentrated on chemistry containing aspects of organic chemistry, physical chemistry, inorganic chemistry and analytical chemistry, in addition to more diverse areas such as biology, toxicology, biochemistry, public health and epidemiology. Environmental chemists observe the extent of contamination of environment, how chemicals enter the aerosphere and their effects on human activity and the environment. 15th Euro-Global Meeting on Toxicology and Applied Pharmacology July 02-04, 2018 Berlin, Germany; 14th World Congress on Toxicology and Pharmacology March 12-14, 2018 Singapore; 16th Annual Meeting on Environmental Toxicology August 13-14, 2018 London, UK; 16th Global Summit on Toxicology and Applied Pharmacology October 15-16, 2018 Las Vegas, USA; 17th Conference on Global Toxicology and Risk Assessment Conference October 22-24, 2018 Athens, Greece; 2018 Toxicology and Risk Assessment Conference, April 23-26, 2018, Ohio, USA; 20th International Congress on In Vitro Toxicology, October 15-18, 2018, Berlin, Germany; 2nd World Congress on Pharmacology & Toxicology, Aug 16-18, 2018, Rome, Italy; American College of Toxicology’s 39th Annual Meeting, November 4–7, 2018, West Palm Beach, Florida; SOT 57th Annual Meeting and ToxExpo, March 11–15, 2018, San Antonio, USA; Societies: Society of Environmental Toxicology and Chemistry; Society of Toxicology; Society for Risk Analysis; Society of Toxicologic Pathology; Air and Waste Management Association. Environmental monitoring defines the procedures and the activities that essential to take place to describe and monitor the quality of the environment. It is an investigation system for microbiological control of classrooms and other controlled surroundings. It is a process which offers monitoring, testing and feedback to the microbiological quality levels in aseptic environments. Information gathered through environmental monitoring is important to public health experts to design effective policies. The particular features of the atmosphere to be studied are determined by environmental objectives and environmental legislation. The motive of environmental monitoring is to evaluate the progress made to attain given environmental objectives and to help notice new environmental issues. 16th Annual Meeting on Environmental Toxicology August 13-14, 2018 London, UK; 14th World Congress on Toxicology and Pharmacology March 12-14, 2018 Singapore; 17th Conference on Global Toxicology and Risk Assessment Conference October 22-24, 2018 Athens, Greece; 16th Global Summit on Toxicology and Applied Pharmacology October 15-16, 2018 Las Vegas, USA; 15th Euro-Global Meeting on Toxicology and Applied Pharmacology July 02-04, 2018 Berlin, Germany; 20th International Conference on Environmental Toxicology and Pharmacology, May 14-15, 2018, London, United Kingdom; 20th International Congress on In Vitro Toxicology, October 15-18, 2018, Berlin, Germany; 2nd World Congress on Pharmacology & Toxicology, Aug 16-18, 2018, Rome, Italy; SETAC North America 39th Annual Meeting, 4–8 November 2018, Sacramento Convention Centre, Sacramento, CA, USA; SOT 57th Annual Meeting and ToxExpo, March 11–15, 2018, San Antonio, USA; Societies: Society of Toxicology; Society for Risk Analysis; Society of Toxicologic Pathology; Alliance for Risk Assessment; Society of Environmental Toxicology and Chemistry. Environmental education is a practice that allows entities to explore ecological issues, participate in problem solving and take action to progress the environment condition. As a result, individuals develop a deeper concern of environmental issues and have the abilities to make learned and responsible conclusions. Environmental education does not promote a particular perspective or course of action. Rather, environmental education teaches individuals how to weigh different sides of an issue through critical thinking and it heightens their own problem-solving and decision-making abilities. It surges public awareness and knowledge of environmental issues. 17th Conference on Global Toxicology and Risk Assessment Conference October 22-24, 2018 Athens, Greece; 14th World Congress on Toxicology and Pharmacology March 12-14, 2018 Singapore; 16th Global Summit on Toxicology and Applied Pharmacology October 15-16, 2018 Las Vegas, USA; 15th Euro-Global Meeting on Toxicology and Applied Pharmacology July 02-04, 2018 Berlin, Germany; 16th Annual Meeting on Environmental Toxicology August 13-14, 2018 London, UK; 2018 Toxicology and Risk Assessment Conference, April 23-26, 2018, Ohio, USA; 20th International Conference on Environmental Toxicology and Pharmacology, May 14-15, 2018, London, United Kingdom; 20th International Congress on In Vitro Toxicology, October 15-18, 2018, Berlin, Germany; 2nd World Congress on Pharmacology & Toxicology, Aug 16-18, 2018, Rome, Italy; SOT 57th Annual Meeting and ToxExpo, March 11–15, 2018, San Antonio, USA; Societies: Society of Environmental Toxicology and Chemistry; Society for Risk Analysis; Society of Toxicologic Pathology; Alliance for Risk Assessment; Water Environment Federation. Environmental Risk Assessment is a scientific process that identifies and evaluates threats to the environments, in particular to living organisms, their habitats and the ecosystem. The causes of environmental threats are diverse. Some are natural like earthquakes, volcanic eruptions and some are results of human activities like industrialisation and urbanisation. Environmental Risk Assessment is done in number of areas like genetically modified organisms, pesticides, plant pests, plant species and feed additives. The purpose of this assessment is to assess the seriousness of the harm to the environment. 16th Global Summit on Toxicology and Applied Pharmacology October 15-16, 2018 Las Vegas, USA; 16th Annual Meeting on Environmental Toxicology August 13-14, 2018 London, UK; 14th World Congress on Toxicology and Pharmacology March 12-14, 2018 Singapore; 15th Euro-Global Meeting on Toxicology and Applied Pharmacology July 02-04, 2018 Berlin, Germany; 17th Conference on Global Toxicology and Risk Assessment Conference October 22-24, 2018 Athens, Greece; 2018 Toxicology and Risk Assessment Conference, April 23-26, 2018, Ohio, USA; 20th International Congress on In Vitro Toxicology, October 15-18, 2018, Berlin, Germany; 2nd World Congress on Pharmacology & Toxicology, Aug 16-18, 2018, Rome, Italy; American College of Toxicology’s 39th Annual Meeting, November 4–7, 2018, West Palm Beach, Florida; SOT 57th Annual Meeting and ToxExpo, March 11–15, 2018, San Antonio, USA; Societies: Society of Environmental Toxicology and Chemistry; Society of Toxicology; Society for Risk Analysis; Society of Toxicologic Pathology; Air and Waste Management Association. Environmental health and safety is field which tangled in environmental protection, safety at workstation, industrial health and safety. Environmental health and safety guarantees an efficient method of prevention of accidents and emergencies with fire or liquid waste management, decrease of environmental footprints and use of carbon energy, improving safety and well-being of the workers, worker ergonomics and confirming a risk free workstation. It also aims to prevent workers from suffering from industrial diseases. 15th Euro-Global Meeting on Toxicology and Applied Pharmacology July 02-04, 2018 Berlin, Germany; 14th World Congress on Toxicology and Pharmacology March 12-14, 2018 Singapore; 16th Annual Meeting on Environmental Toxicology August 13-14, 2018 London, UK; 16th Global Summit on Toxicology and Applied Pharmacology October 15-16, 2018 Las Vegas, USA; 17th Conference on Global Toxicology and Risk Assessment Conference October 22-24, 2018 Athens, Greece; 20th International Conference on Environmental Toxicology and Pharmacology, May 14-15, 2018, London, United Kingdom; 20th International Congress on In Vitro Toxicology, October 15-18, 2018, Berlin, Germany; 2nd World Congress on Pharmacology & Toxicology, Aug 16-18, 2018, Rome, Italy; SETAC North America 39th Annual Meeting, 4–8 November 2018, Sacramento Convention Centre, Sacramento, CA, USA; SOT 57th Annual Meeting and ToxExpo, March 11–15, 2018, San Antonio, USA; Societies: Society of Environmental Toxicology and Chemistry; Society of Toxicology; Society for Risk Analysis; Society of Toxicologic Pathology; Air and Waste Management Association. Waste management deals with gathering, transport and dumping of waste, sewage and other waste products. It is the practice of handling solid wastes and offers diversity of solutions for recycling items that don’t belong to trash. It is about how trash can be used as a valuable resource. Waste management is something that each and every domestic and commercial owner in the biosphere needs. Waste management disposes of the products and substances that you have use in a safe and efficient manner. 16th Annual Meeting on Environmental Toxicology August 13-14, 2018 London, UK; 17th Conference on Global Toxicology and Risk Assessment Conference October 22-24, 2018 Athens, Greece ; 15th Euro-Global Meeting on Toxicology and Applied Pharmacology July 02-04, 2018 Berlin, Germany; 16th Global Summit on Toxicology and Applied Pharmacology October 15-16, 2018 Las Vegas, USA; 14th World Congress on Toxicology and Pharmacology March 12-14, 2018 Singapore; 2018 Toxicology and Risk Assessment Conference, April 23-26, 2018, Ohio, USA; 20th International Conference on Environmental Toxicology and Pharmacology, May 14-15, 2018, London, United Kingdom; 20th International Congress on In Vitro Toxicology, October 15-18, 2018, Berlin, Germany; 2nd World Congress on Pharmacology & Toxicology, Aug 16-18, 2018, Rome, Italy; SOT 57th Annual Meeting and ToxExpo, March 11–15, 2018, San Antonio, USA; Societies: Air and Waste Management Association; Alliance for Risk Assessment; Water Environment Federation; Society of Environmental Toxicology and Chemistry; Society of Toxicology. Aquatic toxicity is refers to the effects of chemicals on aquatic species which is depended on organisms like vertebrates, invertebrates and plants. Aquatic toxicology is an associative of toxicology, aquatic ecology and aquatic chemistry. Aquatic toxicologists evaluate the condition of aquatic systems, monitor trends in conditions over time, diagnose the cause of damaged systems, guide efforts to correct damage and predict the consequences of proposed human actions so the ecological consequences of those actions can be considered before damage occurs. 15th Euro-Global Meeting on Toxicology and Applied Pharmacology July 02-04, 2018 Berlin, Germany; 14th World Congress on Toxicology and Pharmacology March 12-14, 2018 Singapore; 16th Annual Meeting on Environmental Toxicology August 13-14, 2018 London, UK; 16th Global Summit on Toxicology and Applied Pharmacology October 15-16, 2018 Las Vegas, USA; 17th Conference on Global Toxicology and Risk Assessment Conference October 22-24, 2018 Athens, Greece; 2018 Toxicology and Risk Assessment Conference, April 23-26, 2018, Ohio, USA; 20th International Congress on In Vitro Toxicology, October 15-18, 2018, Berlin, Germany; 2nd World Congress on Pharmacology & Toxicology, Aug 16-18, 2018, Rome, Italy; American College of Toxicology’s 39th Annual Meeting, November 4–7, 2018, West Palm Beach, Florida; SOT 57th Annual Meeting and ToxExpo, March 11–15, 2018, San Antonio, USA; Societies: Society for Risk Analysis; Society of Toxicologic Pathology; Air and Waste Management Association; Society of Environmental Toxicology and Chemistry; Water Environment Federation. 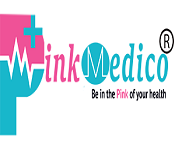 Medical Toxicology is a one of a kind and a medicinal subspecialty concentrating on the diagnosis, management and prevention of poisoning and other adverse health impacts because of medications, work related and ecological poisons and biological agents. 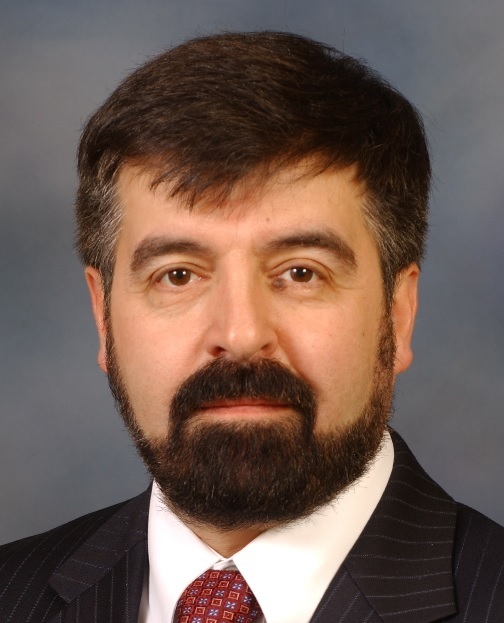 Medical toxicologists have the expertise to distinguish and treat conditions including: Acute and chronic toxicity, adverse medication responses, Envenomation, Workplace or ecological synthetic exposures & criminal poisoning. 16th Global Summit on Toxicology and Applied Pharmacology October 15-16, 2018 Las Vegas, USA; 15th Euro-Global Meeting on Toxicology and Applied Pharmacology July 02-04, 2018 Berlin, Germany; 14th World Congress on Toxicology and Pharmacology March 12-14, 2018 Singapore; 16th Annual Meeting on Environmental Toxicology August 13-14, 2018 London, UK; 17th Conference on Global Toxicology and Risk Assessment Conference October 22-24, 2018 Athens, Greece; 20th International Conference on Environmental Toxicology and Pharmacology, May 14-15, 2018, London, United Kingdom; 20th International Congress on In Vitro Toxicology, October 15-18, 2018, Berlin, Germany; 2nd World Congress on Pharmacology & Toxicology, Aug 16-18, 2018, Rome, Italy; SETAC North America 39th Annual Meeting, 4–8 November 2018, Sacramento Convention Centre, Sacramento, CA, USA; SOT 57th Annual Meeting and ToxExpo, March 11–15, 2018, San Antonio, USA; Societies: Society of Environmental Toxicology and Chemistry; Society of Toxicology; Society for Risk Analysis; Alliance for Risk Assessment; Water Environment Federation. Human toxicology studies the adverse effects of chemical substances on the living things. The chemicals may occur naturally or have been created in a lab or factory; the living things may be humans, pets, livestock, or microbes living in a pond. The toxicity of a substance is influenced by its mechanism of action and the ingested quantity or concentration. 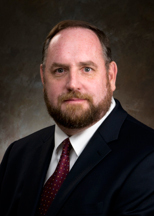 Toxicologist mainly focuses on frequency of chemical use and toxicant exposure in our society. The Economic toxicology refers to the harmful impact engaged with the utilization of food additives in food preservation and processing, man-made fertilizers and pesticides in advanced agriculture. Poisoning accidentally or occupationally which is so common in the use of synthetic insecticides and the adulteration of food stuffs by these toxic chemicals are areas of attention in economic toxicology. Regulatory Toxicology is the field deals with toxicological studies which are accomplished as per the content and characteristics prescribed by regulatory agencies. Regulatory toxicology is the interpretation of laboratory testing data into policies regarding the applications and uses of chemicals in society and the limits of allowable exposure in various settings. Environmental technology is the combination of some of the fields environmental science, green chemistry, environmental monitoring and electronic devices to observe, model and protect the natural environment and assets and to control the negative effects of human involvement. The term is also used to define sustainable energy generation technologies such as bioreactors, wind turbines, photovoltaics, etc. Sustainable development is the basic of environmental technologies. The environmental technologies are used to define a class of electronic devices that can help sustainable management of assets. 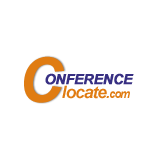 We are glad to broadcast that Conference Series LLC LTD has successfully organized 1000+ conferences and now stepping ahead into the new era. On this occasion, we are delighted to invite you to the “17th International Conference on Environmental Toxicology and Ecological Risk Assessment” which is ready to hit the calendar in September 24-25, 2018 at Chicago, USA. It includes prompt keynote presentations, Oral talks, Poster presentations and Exhibitions. Environmental Toxicology 2018 is a specially designed cluster conference. The leading theme of the conference is “Probing the Advancements and Technologies in Environmental Toxicology” which covers a wide range of imperative sessions. Environmental toxicology is an associative arena that is centring on the research of the harmful effects. It includes the contrary effects of various chemical, biological, and physical agents on living organisms in the ecosystems, including humans. Environmental toxicology inhabits an ideal position among the study of toxicology, environmental health and public policy. The key impact of environmental toxicology has been providing tools and scientific evidence to policy-makers. It also has been providing the essential tools to the public in averting substantially greater environmental degradation, including adverse human health impacts. In USA, environmental toxicology gets growing attention and shows major growth in divergence to the fast-economic growth and industrial development. With the increase in the number of environmental problems, there is a need for immediate solution and environmental toxicology is expected to play a major part as a support tool for environmental risk assessment. As society changes due to modern technology and to the challenge of sustainable development in the face of increased human population especially in the USA region, the part of toxicology in enlightened public health and public policy will become even more significant. The scientific program of Environmental Toxicology conference encompasses plenary sessions, symposia, workshops, panel discussions, informational sessions, regional sessions and poster sessions which covers all the novel and emerging trends in Environmental Toxicology. The conference attendance enhances opportunities for educational development and to exchange the knowledge in toxicology and its applications. 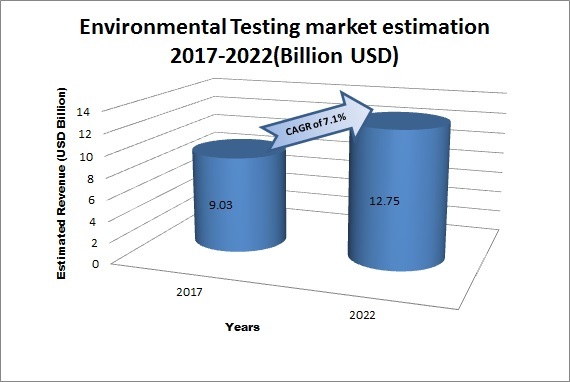 The environmental testing market is estimated to reach USD 12.75 Billion by 2022 from USD 9.03 Billion in 2017, at a CAGR of 7.1% for next six years i.e., 2017-2022. 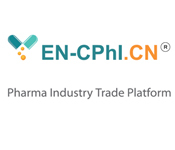 The market is steered by growing regulations relating to environment protection, privatization of environmental testing amenities and effective contribution of various government and regulatory bodies to monitor environmental conditions. The major factor restraining growth in this market is through by investing high capital for accurate and sensitive analytical testing. 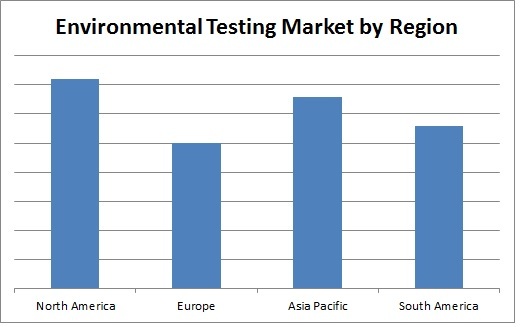 The environmental testing market is segmented into various types based on Sample, Contaminant, Technology and Region. Based on Sample, market is segmented into Wastewater/effluent, Soil, Water and Air. Water testing segment is rapid growing because of the disposal of industrial effluents into water bodies and rise in concerns about water degradation. Based on Contaminant, market is segmented into Microbes, Organic compounds, Heavy metals, Residues, Solids. 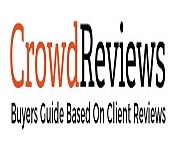 Based on Technology, the market has been segmented as Conventional and Rapid. Based on Region, the market has been segmented as North America, Europe, Asia Pacific, South America and RoW (Middle East, and Africa). The market in the North America region is driven by infrastructure development such as construction and energy-related projects, growing awareness regarding environmental pollution, and sustainable transformation of environmental policies. It was indeed a wonderful opportunity to have been with the group of experts. Much of new learnings come my way. I have many experts and had enjoyed my time with them. At any rate, I am still really willing to attend in other conferences next year or years ahead. I hope to receive invitation from time to time especially if it’s gonna be held in Paris and other European countries, as I would be willing to meet experts from Europe too. Edna P Oconer, Mindanao State University, Philippines. Although I couldn’t present my study, I could learn a lot from many talks. I hope that the conference has a certain topic and discuss about it together. And I hope to participate in the conference next time.